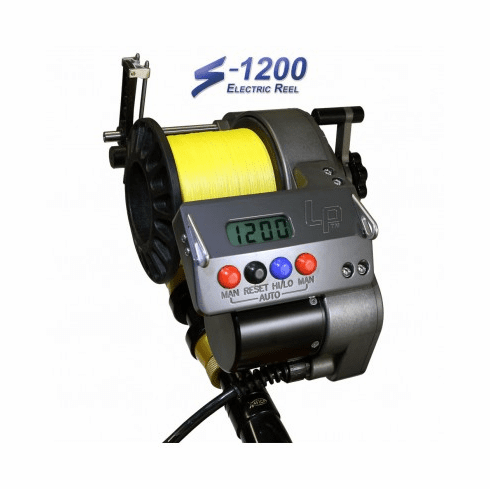 LP S-1200 Electric Reel	Miami Fishing Supply, complete selection of offshore fishing tackle, marine electronics and boat supplies. The Lindgren-Pitman LP S-1200 is a rugged high capacity electric fishing reel that brings state-of-the-art technical advances to fishing. 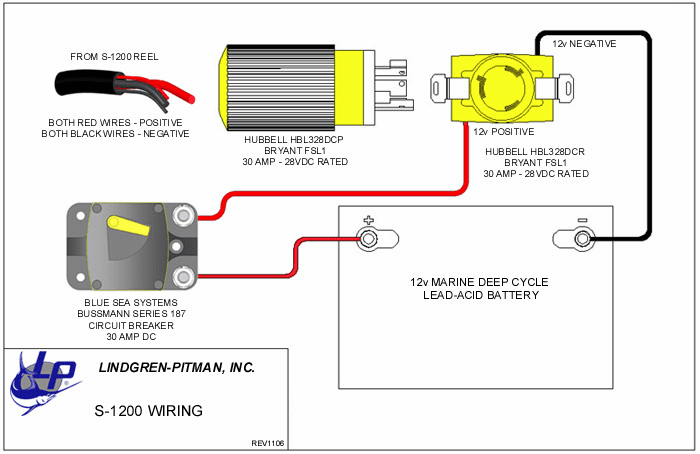 Increased efficiency from new technology allows high performance with 12 volts D.C. input. This level of performance was not previously available at 12 volts. The electronics provides for many new features not available before including a counter and stop at top automatic operation. - Electronic Control and Switching. 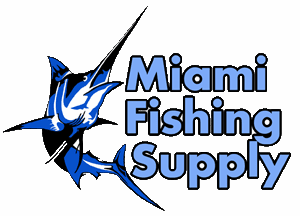 Free Daiwa J-Braid multifilament Hi-Vis chartreuse line with any purchase of LP1200 reel, choose between 80Lb through 120Lb and we will fill the spool for you free of charge. 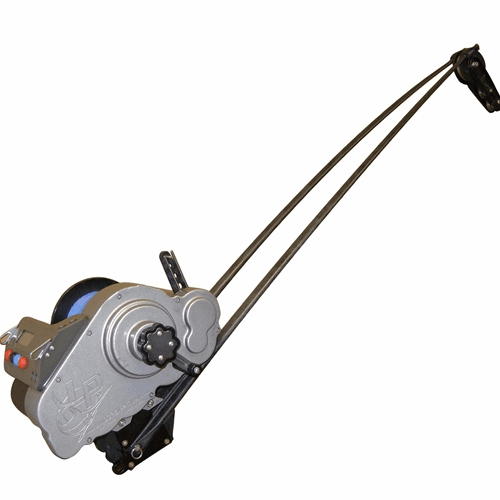 LP S-1200 Wishbone Rod - Last one available!